Welcome to Art in Aqua - Pools for pure pleasure. Let us build an oasis at your place which provides optimum pleasure for you, your family, and friends. We create ‘art in aqua’ - a living, moving, soothing, source of energy - a work of art in your own back yard. The lifestyle enrichment that comes from owning a beautiful, individually designed, low maintenance pool is hard to measure but easy to live with. 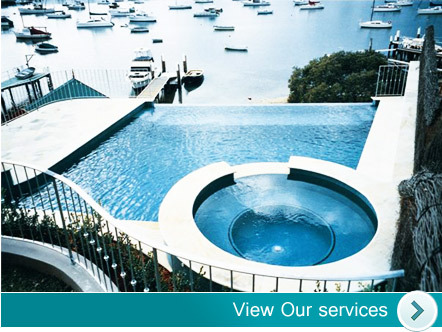 Art in Aqua build new concrete swimming pools throughout Sydney. We also renovate and redesign existing pools. ©2019 Art in Aqua. Web Design Gold Coast by NBM.